I've said it before and I'll likely say it again, Fresh48 Sessions (otherwise known as First Days or Hospital Sessions) are one of my favourite things to photograph. 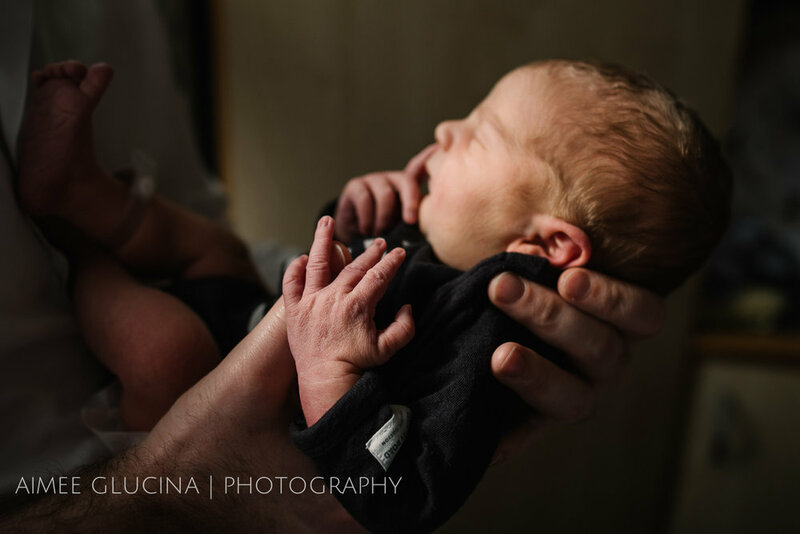 They have their fair share of challenges (hospital lighting and assertive nursing staff among them) but they are also uniquely packed full of the sweetest newborn goodness. When you walk into a suite at Birthcare it's like stepping through a portal into a completely different universe. A universe revolving around one very small, very special being. The rooms in this place are almost swelteringly hot to keep those tiny tots comfortable and I'm not sure if that adds to the dream-like delirium but you definitely feel yourself slip into a hazy, love fuelled slow motion when you step through those doors. The star at the centre of this particular universe was the very chilled out Mackenzie. Mackenzie has come into the world anxiously anticipated by big sister Ophelia, who is already showing A grade big sister potential. She's been welcomed into a family that loves the outdoors, travel and animals. And when I met her (at just 2 days old) her first skiing trip was already being planned - for later that week! So I have no doubt that this little girl, like big sis, is meant for adventure and greatness. In the immortal words of Dr Seuss "kid you'll move mountains!" Cathy, Gareth and Ophelia, thank you so much for allowing me into that hazy cocoon of newborn goodness. It was such a pleasure to get to know you all, you made my job very very easy! And Bree - thank you for trusting me to capture the special moments that you wished you could have photographed yourself!